Since I'll be making something more substantial for our anniversary quite soon, I went with something smaller for Valentine's Day. Decorated sugar cookies are something I want to dedicate a bit of time to trying and perfecting this year. Part of this motivation is to get better at piping. It's easier to practise on cookies than on cakes: they take less time to make and disappear much quicker. I've done royal icing transfers once or twice before, but have yet to enter the world of sugar cookies. Valentine's Day made for a good excuse. These cookies are a chocolate recipe I'm familiar with. 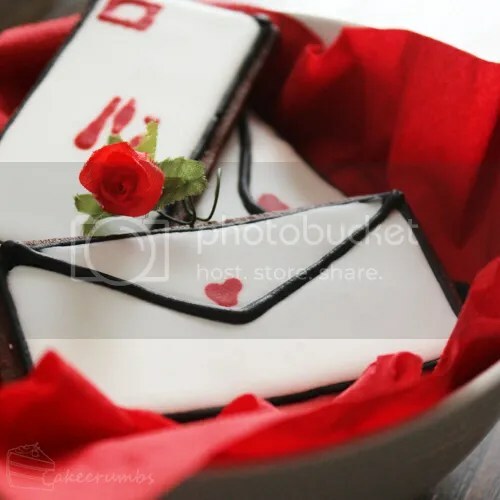 It tastes great and holds shape well, and gives a little extra flavour than plain sugar cookies. 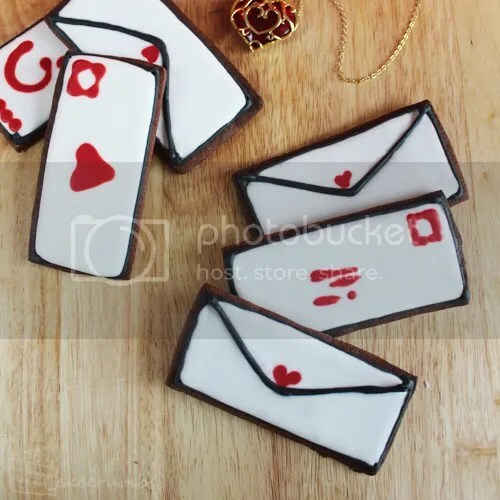 They're decorated with royal icing to look like envelopes (hopefully). I made 6 in total, one for every year he has been my Valentine. 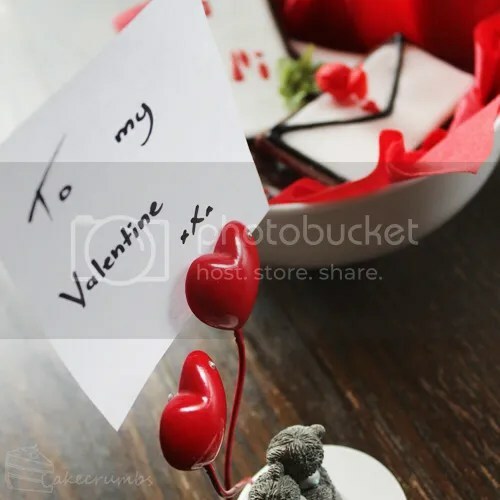 I left them on the dining room table with the note for when he got home from work. He took me out to one of our favourite restaurants for dinner and we had a lovely night. We're not huge on the whole Valentine's Day deal, but it does give us an excuse to do something a little extra special for one another. Here's the recipe for the chocolate cookies. I used half this recipe for the 6 cookies, plus some extra tid bits. To ice them, I got really lazy and used a just-add-water packet royal icing. They can be decorated with just about any icing you desire. Beat butter and sugar in a medium bowl until light and fluffy. Beat in egg. Stir in flour and cocoa in two batches; knead dough on a lightly floured surface until smooth. Roll dough between two sheets of baking paper until 3mm thick. Refrigerate for 30 minutes. Preheat oven to 180°C (160°C fan-forced). Grease or line a baking tray. Cut dough into 5x10cm rectangles and transfer to baking tray. Bake for 10-13 minutes, until edges just begin to colour. Remove from oven and leave cookies to cool on trays for 10 minutes, then transfer to a wire rack to cool completely. Thank you so much for this sweet and thoughtful gift. 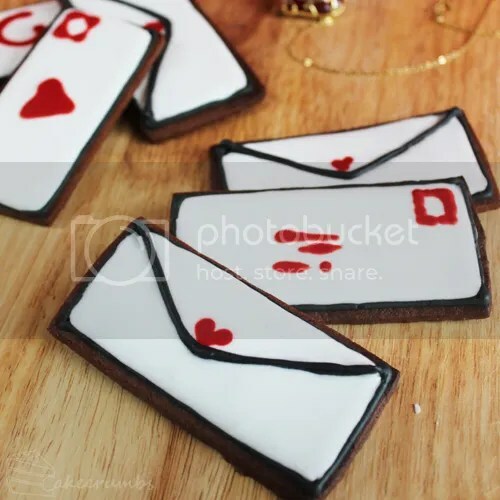 The detail and symbolism of the cookies was lovely, and I always enjoy your baking.